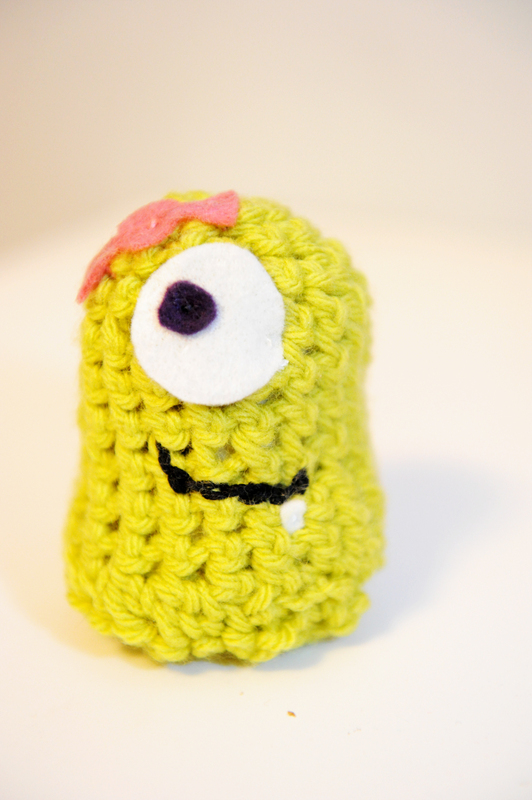 Last week I made a mini monster using this tutorial. Oh my goodness she is ADORABLE! My friend (who also loves all things cute and tiny) would die over this. Seriously. It's that cute! Dawwwwe! Does she gots a name yet? Me thinks it's only right an' she has one! Pretty please won't you tell us what you've "handled" her?